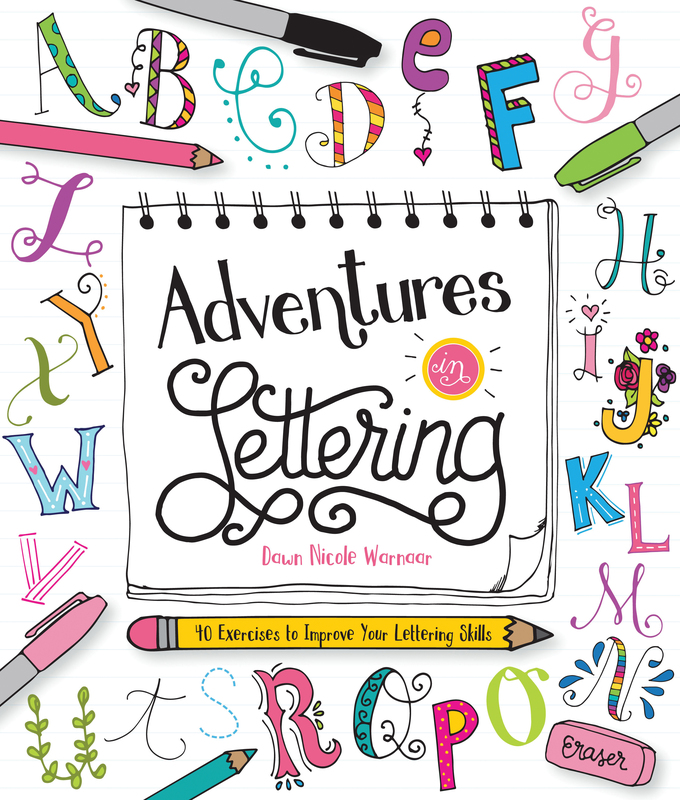 Adventures in Lettering combines creative self-expression and beautiful designs to take young creatives on an exploration of the popular art of hand-lettering. Taught by the popular and skilled hand-lettering artist Dawn Warnaar, Adventures in Lettering combines creative self-expression and beautiful designs for an exploration of various lettering techniques. 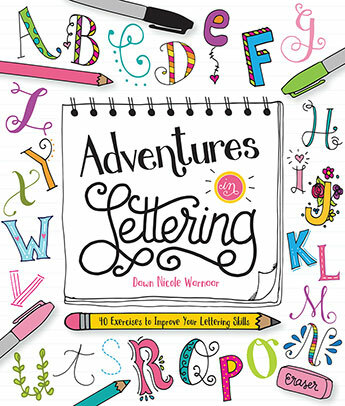 This hand-lettering workbook features fun hand-lettering lessons for beginners, from chalk lettering, brush lettering, and illustrated hand-lettered designs to creating drop caps and gift tags. The hand-lettering techniques are then applied to additional crafts and projects, from mixed-media art to personalized journals and T-shirts. Adventures in Lettering is the ultimate workshop for young creatives anxious to get started in the art of hand-lettering. Dawn Nicole Warnaar is the DIY & Lifestyle Blogger/Graphic Designer behind the blog Dawn Nicole (bydawnnicole.com). She is an Air Force wife and mother of three who believes in throwing kindness around like confetti. While Dawn loves all things creative, she has a passion for drawing and hand-lettered typography. She loves the nuances, imperfections, and organic feeling that doing art by hand creates. A self-proclaimed Paleo foodie, she loves cooking as much as a good, long outdoor run. She believes in balance and rarely lets a day go by without dark chocolate and over-caffeinating.